Phloretin is a flavonoid with known anticancer activities. However, we do not fully understand how phloretin mitigates prostate cancer on the molecular level. In the present study, we examined changes in proliferation, colony formation, and migration after phloretin treatment in human prostate cancer cells PC3 and DU145. We measured reactive oxygen species (ROS) and gene expression. Phloretin increased ROS and suppressed cell proliferation, migration, and colony formation in both cell lines. Additionally, phloretin treatment increased oxidative stress, as demonstrated through lower antioxidant enzymes (catalase, SOD2, Gpx1, Gpx3). In addition, their regulator CISD2 decreased in expression. We also found that increased ROS significantly downregulated multiple components of the Wnt/β-catenin signaling pathway (β-catenin, TCF4, FoxA2, c-Myc) and Twist1. Thus, anticancer activity of phloretin against human prostate cancer cells occurs through generating ROS to influence Wnt/β-catenin signaling. 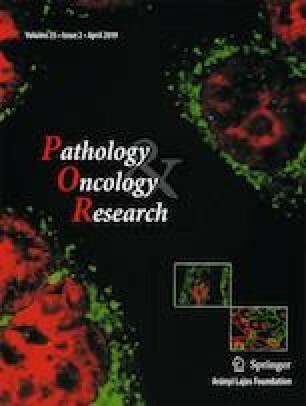 The results of this study suggest that phloretin has a therapeutic effect on prostate cancer in vitro, inhibiting the proliferation and migration of cancer cell lines PC3 and DU145. The mechanism of phloretin appears to be increasing ROS production. We thus recommend phloretin as a promising anticancer therapeutic agent. Jae-Hak Park conceived and designed the experiments and is GUARANTOR for the article. Ukjin Kim, C-Yoon Kim, Ji Min Lee, Hanseul Oh, Bokyeong Ryu and Jin Kim performed experiments. Ukjin Kim analyzed the data and wrote the manuscript. This study was supported by NRF (National Research Foundation of Korea) Grant funded by the Korean Government (NRF-2017-Global Ph.D. Fellowship Program) and partially supported by the Research Institute for Veterinary Science, BK21 PLUS Program for Creative Veterinary Science Research, Seoul National University.